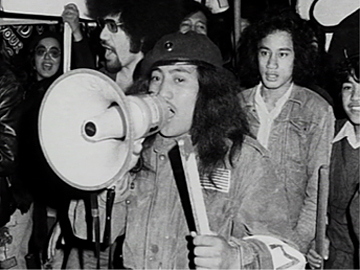 This edition of the Rangatira series chronicles the colourful life of Donna Awatere Huata: activist, opera singer, psychologist, businesswoman, author, Ngā Tama Toa member, ‘81 Tour protest leader, daughter of war hero-turned-murderer. 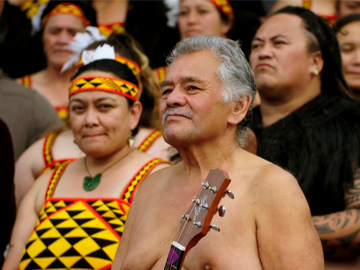 Awatere Huata’s decades of dedication to Māori causes, including the promotion of literacy and education programmes, are reflected upon by Dr Ranginui Walker, Sir Roger Douglas, Tame Iti and Hana Te Hemara. Filmed here debuting in parliament as an ACT MP, Awatere Huata was later to be expelled from the party and convicted of fraud. As part of the radical 80s neoliberal reform of the public and corporate sector in New Zealand, many government-run assets were turned into state owned enterprises; some were sold off to foreign buyers. Screening on TV3, this 1991 film, written by Metro columnist Bruce Jesson, examines the controversial programme by asking “who owns this country and who controls it?”. Those answering range from businesspeople to politicians, academics, journalists, vox pops and critics of the ‘cashing-in’, from the Hamilton Jet family to UK environmentalist Teddy Goldsmith. The Patea Māori Club whare was in desperate need of repair when the Marae DIY team stopped by to give it a revamp. The catch — there’s only four days to do it. The renovations are given a personal note as the show’s regular builder Hare Annef is a Patea local. Also lending a hand are soldiers from the nearby School of Military Engineering. The pressure builds as mid-construction changes are made to the plans, while elsewhere local kuia reflect on the storied history of the club. 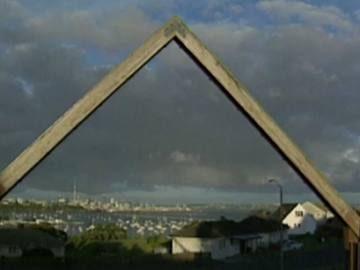 As the clock ticks down, the race is on to finish, lest the iconic club go without a whare. 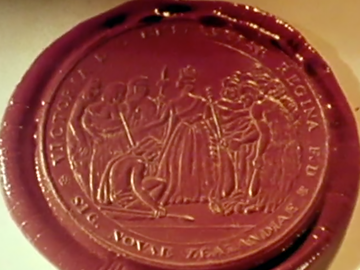 This documentary goes behind the scenes on New Zealand television's first historical blockbuster: 1977 George Grey biopic The Governor. Presenter Ian Johnstone looks at how the show reconstructed 19th Century Aotearoa, and handled large scale battle scenes. The footage provides a fascinating snapshot of a young industry. Also examined is The Governor's place in 1970s race politics and its revisionist ambitions. Key players interviewed include creators Keith Aberdein and Tony Isaac, and actors Don Selwyn, Corin Redgrave, Martyn Sanderson, and Terence Cooper. Inspired by the legend of Ranginui and Papatuanuku — and two attractive singers — director Jessica Sanderson pulls out the stops with this video, which features galaxies, moons, and the circling star wattage of Stan Walker and Ginny Blackmore. Stan and Ginny play lovers who can’t exist in the same space without the potential for havoc, with Walker representing water and earth and Wigmore the sky. Co-written by the two artists, ‘Holding You’ became a number one hit in New Zealand, and was the most downloaded song on local iTunes on its first morning of release.